What happens when a chemical reaction takes place? Chemical reactions take place all around us. Being able to identify reactions and communicate what is happening is a vital skill in the scientific community. 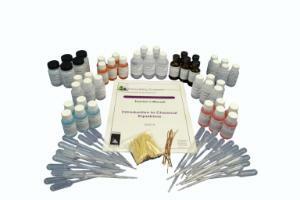 This kit introduces two common types of chemical reactions: single replacement and double replacement. Students perform a series of experiments highlighting the differences in these reactions and use what they learn to write balanced chemical reaction equations. 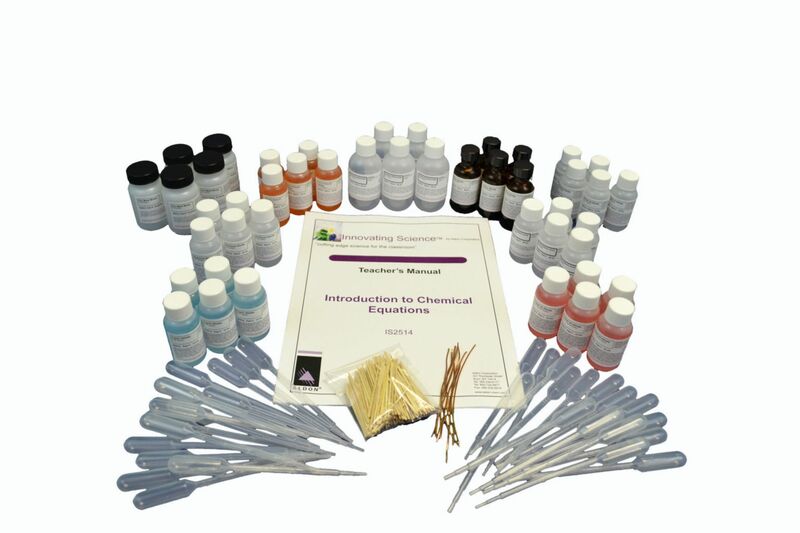 Ordering information: This kit includes 60 mL of cobalt nitrate, cupric nitrate, ferric nitrate, nickel nitrate, aluminum nitrate, sodium hydroxide, hydrochloric acid, silver nitrate, zinc metal, copper wire, and wooden dowels. It also includes a teacher's guide and a student copymaster.